Kmart’s Holiday Ad: Below the Belt or Missed the Boat? Thanks to Jordan McNamara for contributing this article to The Side Note. In a 2012 article, Advertising Age discussed Kmart’s shrinking presence in the low-cost retail field (http://bit.ly/1gc3yWF). Annual sales were down, causing Ad Age to suggest the brand had lost relevance with discount shoppers. In the realm of discount stores, Wal-Mart dominates the low-price segment and Target holds the throne for hip, so where does this leave Kmart? Over the holidays, Kmart and parent company Sears Holdings Corp. (http://www.searsholdings.com) made a big jingle in the viral world with the release of the holiday “Show Your Joe” commercial. Following last year’s “Ship My Pants” spot and “Big Gas Savings,” all created by agency DraftFCB, this indicates a major brand shift for the retail chain. Kmart’s Facebook page received many complaints from angry viewers, calling the ad “disgusting and not fit for family consumption” and “inappropriate for kids!! !” (https://www.facebook.com/kmart). Many customers also accused Kmart of sacrificing family values and decency in exchange for cheap laughs. Departure from their traditional ‘baby boomer’ demographic in pursuit of younger shoppers may be exactly Kmart’s intention. According to a Forbes article from last February, Kmart is focusing on improving sales within the 18-34 year old group (http://onforb.es/1gc32bp). However, Time reported humor is not an effective tactic for converting sales (http://ti.me/1cTMyET). Although funny spots succeed at being memorable for consumers, they do not distinguish why the brand is better or what problem the product solves. “Ship my Pants” and “Big Gas Savings” have more than 30 million views combined views on YouTube, but Forbes reported 3rd quarter sales for Kmart were still down (http://onforb.es/1cTN7hT). The Joe Boxer commercial may be the perfect example of funny, but ineffective. With more than 17 million views on YouTube, the ad has unquestionably garnered attention. However, the spot highlights only one product line available in Kmart stores rather than the Kmart brand as a whole. Plus, it lacks differentiation—what about these specific boxers make them so great? Why are they better than others? Why should I shop at Kmart for underwear? The ad does not answer any of these questions to make the brand or product relatable to the consumer. Both earlier ads by DraftFCB mentioned above do speak to benefits Kmart offers its customers, but the most effective ads connect with consumers on a deeper, emotional level. Due to holiday shopping, fourth quarter sales can account for as much as 40 percent of annual sales for retailers (http://bit.ly/1hrxzFG). With that in mind, Kmart needed a stellar season to climb out of the hole after six years of continually declining sales (http://aol.it/19XT3oU). Numbers for 2013’s fourth quarter have not been released yet, but if third quarter sales are any indication, this ad will not be enough to sway shoppers away from other discount stores. Kmart may have some big…er, bells, but that might not have been enough to fulfill this retailer’s Christmas wishes. Do you shop at Kmart? Tell us what you think of the Joe Boxer ad here. Is your brand in need of an overhaul? The Weise team can identify problem areas and create a strategy to give your brand a boost in our Navigator session. Contact us. When did pop culture become so scary? I don’t mean Lady Gaga dressed in steak scary, but literally “BOO!” scary. Marketing campaigns have a relentless need to hold consumers’ attention, and “what’s hot” is often the magic ingredient. Marketing and pop culture are undeniably intertwined, and as this year’s bewitching hour falls upon us, it’s impossibly to ignore the fact that monsters are just that- HOT. Shows such as True Blood, Vampire Diaries and the Twilight saga started this ‘scary’ trend, pushing vampires and werewolves into the limelight. Since the success of the AMC drama The Walking Dead, however, vampires have given way to zombies as the pop culture monster du jour. Major brands such as BMW, Honda, Skittles, Doritos and FedEx, have all featured the undead in commercials. Primarily playing on the cliche ‘escape for your life before they bite you’ storyline, these ads are redundant and easily forgettable. The success of this commercial doesn’t come solely from using a popular cultural reference, but rather from the irreverence with which it’s used. The zombie, confessing to his decomposing state just as a child would with his hand caught in the cookie jar, accomplishes two feats: first, it captures the viewers’ attention and second, makes it funny enough for the viewer to remember. In an age when DVRs and OnDemand make skipping commercials easier than ever, humor is one of the most powerful ways to make people watch, share, and ultimately reinforce brand awareness. Humor integrates Sprint’s brand message and leaves viewers with a positive association. Furthermore, the zombie’s purely human need for a phone plan makes him relatable to the audience. The commercial exposes the awkwardness many people feel when approaching a sales clerk; this is exaggerated as his ear falls off, stirring feeling of compassion and sympathy in viewers. Again, these positive feelings become subconsciously linked to Sprint’s brand image, creating a powerful emotional connection. Ultimately, of course, commercials are intended to drive sales and influence customer behaviors. Does this commercial have the ‘oomph’ to accomplish that goal? Tell us what you think on our Facebook page at Weise Communications. As always, learn more about how we can help your consumer marketing by visiting our website at www.WeiseIdeas.com. What could your brand do with 40 million followers on Twitter? What about 45 million? Celebrities such as Lady Gaga and Justin Bieber send out tweets daily to this amount of followers, while their fans continuously respond with compliments, love, and devotion. So, what can brands learn from these enormous celebrities about how to create an engaging and interesting social media presence? Sarcasm is now a language within itself. Sarcasm and humor demonstrate personality, which is crucial to a company’s social media presence. You want to offer a human aspect to your accounts so fans and followers know they aren’t just engaging with a robot. Lady Gaga is never afraid to poke fun at herself, her songs, her crazy sense of fashion, and the world around her. Showing personality helps followers relate to your brand’s voice and feel like they know you. Shockingly, the people that know your customer base the best are your customers! 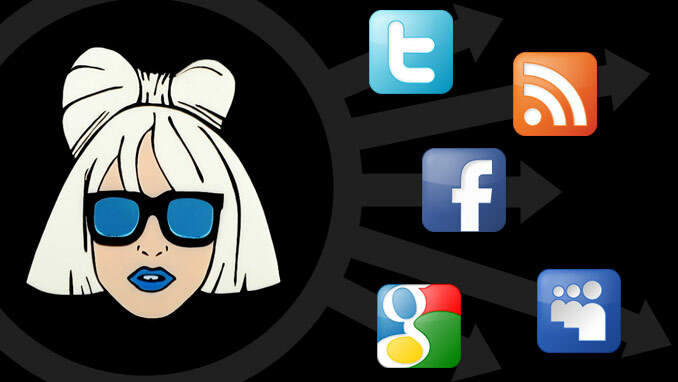 Lady Gaga took notice that her fans were just as artistically inclined as her, and opened up her own social network, LittleMonsters.com. This site has provided a community for her monsters to share their art, while also creating relationships based on acceptance and their love for Gaga. Opening up an opportunity for customers to use their creativity with your brand can help build loyalty towards your brand. What are other celebrities that companies should learn lessons from? Or what are other lessons that can be learned from the big names in music, movies, and TV? Share with us in the comment section below, and also on our Facebook and Twitter! Also, check out how we create brand cultures on social media at WeiseIdeas.com. In recent years, chains have begun to listen to health advisers. They claim to make steps toward healthier options, however, these changes might just be cosmetic, rather than a true interest in a creating healthier community.cs have long despised the marketing tactics of these restaurants, especially their relationship with children. The toy offering with each kid’s meal has been called unethical since children beg for the toy, not understanding the unhealthy food that comes along with it. So far, Taco Bell has become the first national fast food chain to eliminate kid’s meals. This decision was made following intense pressure from health advocates to eliminate the meals in order to promote healthier food choices for children. However, CEO Greg Creed says that the pressure from the advocates was not the only force driving the elimination. Creed says kid’s meals were not profitable for the company, representing only .5% of total sales, and the meals did not suit their target market of millennials. Other fast food chains feeling heat from health advocates include Jack In The Box which eliminated the kid’s meal option in 2007, however Jack In The Box not a national chain. For their Kids’ meals, McDonald’s, added apples and downsized the fries. Yet the toys still remain and the kids want them. Trust me, I was specifically asked by my five year old for dinner from McDonald’s last week so he could “get a cool toy”. Which I interpret to be: a piece of plastic crap surrounded by junk food he barely likes and hardly eats. And yet McDonald’s got my money. According to various reports, the real reason most brands eliminate kid’s meals or add healthier options is to increase their brand image. Taco Bell looks good to health advocates and to the public by eliminating possible deceptive marketing to children that comes from offering cool toys in meals. Also, these other options do an excellent job of bringing customers in the doors, where they usually continue to buy the unhealthier menu choices and a profit is still made. Should brands shift towards healthier food options, even if its not for healthier reasons? Should Taco Bell be praised for eliminating the kid’s meal, even though they are doing it for primarily fiscal reasons? Is McDonald’s still king because apples are in happy meals and the fries are smaller, or does it really make any difference? 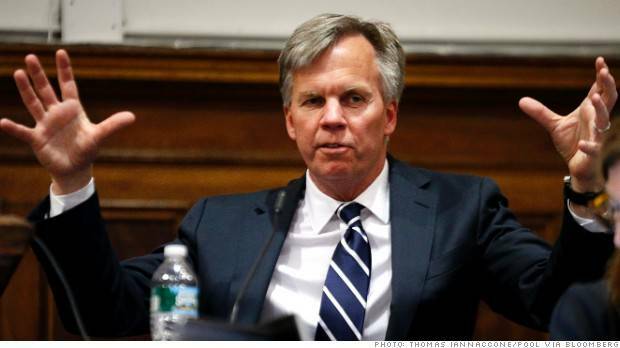 In less than shocking news, Ron Johnson was recently ousted as CEO of J.C. Penney after a continued decline in recent sales. Johnson came into JCP during one of the worst times for the company. He had hoped to rebrand the retail chain in order to have it come back as a successful store, but his tactics failed to cause a turnaround in profits. Last year, when Johnson rolled out his first series of changes, we recorded our opinions and predictions. Now that Johnson has been let go by JCP, we have noted a few things that are crucial for rebranding initiatives that Johnson seemed to leave out. The key to a successful branding is complete research. This means analyzing the company, the consumers, the competition, and the market. After collecting all there is to know, a company can decide on the most successful strategies to be implemented. Most of JCP’s rebranding woes could have possibly been predicted according to their current consumer trends. JCP severely underestimated the backlash of ditching their coupons for the value pricing system. The company learned almost immediately how important the promotions were to current customers, which is something sales records could have demonstrated. When in a crisis, companies should always evaluate what is working for their company versus what isn’t. The backlash on the pricing policy change has lead us to question the validity of the research that was completed. Customer is king. If the customer does not like the strategies you are using, it will bleed through into your sales. Consumer testing helps a company try out some of their newest tactics and get some feedback before rolling out anything to the wider market. Judging from consumer reactions, Johnson skipped this step. Customers were immediately annoyed by the new television commercials, and posted their negative almost immediately. According to various reports, Johnson was always very mum on changes to come. Only a few select people would know what was next for the retailer. However, branding, by definition, is about sharing with the public the culture that is alive inside the company. That means that every employee has to be on the same page, providing a united front in what the brand stands for. But, with Johnson keeping everyone in the dark, workers did not know what their next attitude change had to be. Where else did Johnson fail in his rebranding? Or what were some of his successes? Tell us your takeaway in the comments, and on our Facebook & Twitter! Thanks to Twitter and Facebook, brand engagement is at an all time high. Some brands have dormant accounts, rarely posting anything, while others have been able to turn their brands into personal, interactive and dynamic engagement tools. The latter has been able to increase revenues and sales, while also building a positive brand image. These lively accounts also provide a unique opportunity for followers, giving them exclusive information on the company, sales promotions and contests, as well as first looks at new products on the horizon. American Eagle Outfitters, a clothing store for the millennial market, was able to leverage their social media followers into customers when they brilliantly pulled off a hip, funny April Fools practical joke. 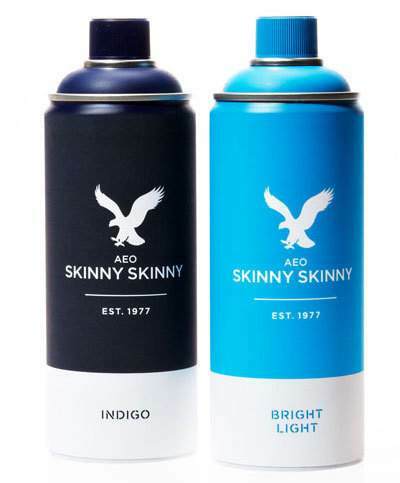 On April 1st, American Eagle made the announcement that they were producing the next big thing in fashion; spray on skinny jeans. The “skinny skinny” jeans came in a spray can, and were going to be the tightest jeans in the market, following the trend in the millennial fashion world of skinny pant-cuts. American Eagle produced photos of models, male and female, sporting the new jeans, as well as videos of the jeans in action. The lighthearted joke received significant press coverage, increasing their exposure, and was a great success to their established brand image of a hip, young company with a fun side. Other brands, like Old Spice, have also been able to turn their brands into exciting sources of brand engagement. Old Spice used their famous “Smell Like A Man” campaign model, Isaiah Mustafa, for an interactive Q&A with Twitter followers. Followers would tweet their questions, and within minutes would receive a YouTube video response from Isaiah Mustafa and the Old Spice team. Old Spice’s interactive accounts have made them the leader in body wash and deodorant sales. It is clear that when used for its purpose, social media networks of brands can produce increased revenue and brand perception. Social media is able to bring brands closer to their consumers and reinforce a continued brand experience. What do you think of American Eagle’s April Fool’s gag? Was it a positive use of brand engagement like Old Spice’s? Let us know in the comments section, as well as on Twitter at @weise_ideas and Facebook! Here is a preview of my featured article,”2013 Health Care Advertising: Looking for Answers,“ seen in the February issue of The Review. With the future of health care evolving, consumer behavior and attitudes must be examined. Weise Communications Co-founder and President Tracy Weise offers her top five suggestions for health care advertising and consumer engagement for 2013. Hospitals and health care systems can optimize outreach to educate consumers by moving beyond corporate websites and creating a strong social media presence via social media sites, blogs, referrals and webinars. As more consumers utilize their smart phones and tablets for Web browsing, medical apps will allow consumers to order medication, set appointments, learn about health initiatives and obtain the contact information of health care institutions. Online and offline advertising communication messages featuring, “well care” not just “sick care” will motivate consumers to take control of their own health in order to decrease hospital readmissions. In order to prevent patients from traveling far and wide seeking optimal doctors and ideal medical costs, health care advertising can lesson competition for the health care consumer by creating specific and consistent messages to target audiences. Health care institutions can ease consumer fears of the changing health marketplace by emphasizing positive messages about health care changes, providing dedication to community health, and advocating for the most profitable health care institutional services.